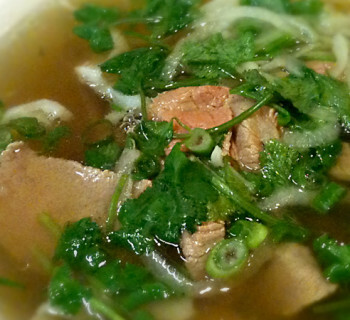 Home›featured›Up-Sell Specialist - Would This Work in a Pho Restaurant? Updated 09-30-15. A recent article on businessweek.com describes yet another way restaurants will try to get customers to spend more money: up-sell specialist. 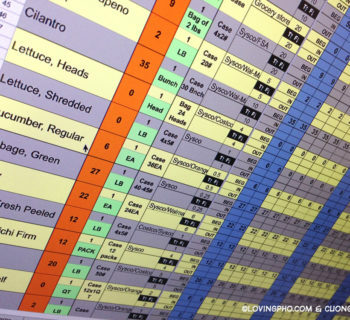 It's basically a new tool for a restaurant operator's four-wall marketing arsenal. So what are the good and the bad of this up-sell method, and how may it work in a pho restaurant? Up-selling is nothing new, but employing an up-sell specialist is. Up-selling is a sales technique whereby a restaurant induces the customer to purchase more items, upgrades, or other add-ons than the customer had originally planned to do. It may be something as simple as "would you like fries with that?" or an elaborate presentation of dessert options right after dinner. "Would you like to super size that?" is the classic up-sell campaign. The goal, of course, is to attempt to make more sale per ticket or per customer. Up-selling is in fact a part of four-wall marketing. Four-wall marketing is marketing to your captive audience inside your restaurant's four walls. You already have people come and buy your food, so why not get the most out of their presence by selling them more? Four-wall marketing ranges from passive, informative wall and table postings to actively persuading or even aggressively asking customers to buy up or buy more. According to the article, Noodles & Company has been testing and now plans to add free-floating dinner service servers whose job is "to tempt guests to order dessert, beer, wine, and coffee." The server will stop at guests’ tables when they’re nearly done with their meal, ask if they’d like to order anything else, and bring the extra items to the table—no gratuity required. Noodles and Company Chief Executive Kevin Reddy says they expect this to boost same-store sales by 3 percent. This is huge sales boost if they can sustain it. There 's nothing wrong for fast-casual and quick-service restaurants to do this, but if not implemented carefully, you can defeat your restaurant's main concept of fast-casual or quick-service, and may cause a decrease in customer satisfaction more than what you may gain from a small amount of increased sales. People who go to fast-casual and quick-service restaurants neither expect nor want to be up-sold, so restaurateurs will have to train and educate not just employees of the additional service but also the customers as well. The free-floating server may be a costly crew member of a fast-casual and quick-service restaurant. He/she has to justify the position's existence each and everyday, but only during dinner service. If you hire new employees just for this position, then it is definitely an added cost that must be justified by incremental sales of the added service. As long as this does not interfere with table-turning or service speed of your fast-casual and quick-service restaurant, then an up-selling specialist can benefit both diners experience and the restaurant's bottom line. Implementation must be spot-on from day one. Instead of targeting only dinner times, why not do this when the situation allows it, including any time outside of the busy lunch times? With cross training of existing employees, customers can be better served while the restaurant can keep its cost down. 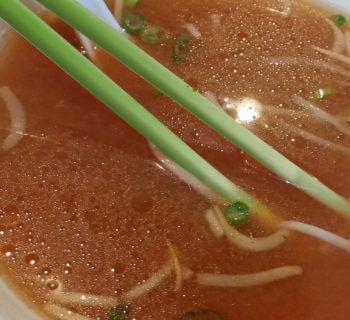 How May an Up-Sell Specialist Work in a Pho Restaurant? 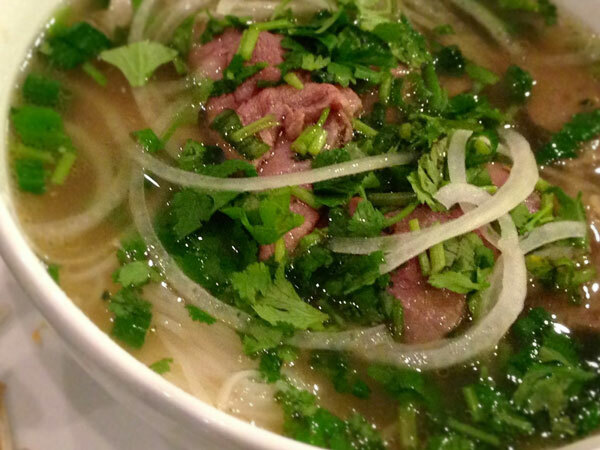 By definition, most Vietnamese and pho restaurants are full-service restaurants, with servers presenting menus and taking orders at the table. On the other hand, the newer wave of Viet and pho restaurants by younger entrepreneurs are mostly fast-casual or quick-service restaurants, serving excellent and delicious food and very fast. Regardless, an up-sell specialist is not going to happen any time soon at Viet and pho restaurants. Because of the affordable (read: low) prices, total customers served and table-turn are everything. For this reason, an up-sell specialist may either slow things down, or be too novel of an idea for many owners of Vietnamese and pho restaurants. This "novelty" is an American/Western thing and doesn't really apply. But such thinking is shortsighted at best. 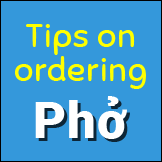 While not everyone can afford an up-sell specialist, any restaurant including pho restaurants can actually train their staff to up-sell as part of their job. It's very easy to do and with a little practice, it can become second nature with no extra effort. For the few Viet and pho restaurants who already are providing great customer service and experience, they don't really need extra effort to do this up-selling. Not that they don't need to or don't need the extra revenue. The point is if they are already at this level of service and success, then up-selling is already a part of what they do naturally, while they're turning tables as efficiently as possible without compromising customer experience. This is one of their "secrets" of success. The bottom line is, as a customer of a pho restaurant, I would not look at this "extra service" very positively. From a fast-casual or quick-service restaurant's standpoint, if it does not already fit the restaurant's customer service concept and culture, then I wouldn't bother with such aggressive sales tactic. You'll be alienating and irritating, if not losing outright, your customers. In this case, just go with a more subtle, customer service-oriented, suggestion-based technique, then develop it from there. What do you think about this "up-sell specialist" idea? Share your comment below.